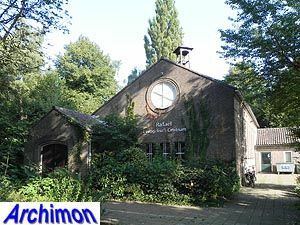 Bastiaan Willem Plooij (often misspelled Plooy) was born in Baarn on May 17 1890. 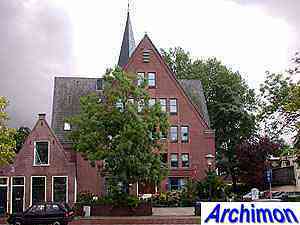 He moved to Amersfoort in 1918 and was registered as an architectural overseer. In 1921 the municipality appointed him adjunct-inspector for public health as well as inspector for social housing. In 1924 he settled himself as an architect. 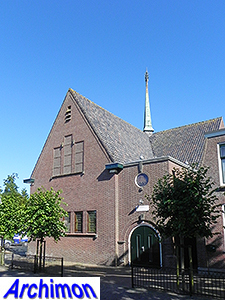 Among his first works were several shops and the building for a catholic workers society in that city, although he was an active member of the local Gereformeerde kerk himself. Among his other profane works are houses, a cigar factory (in Amersfoort) and schools in various places. 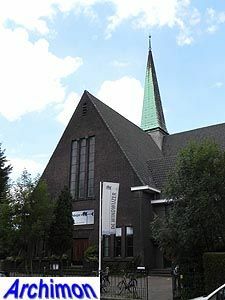 He is however best known for the more than 40 churches he designed for both the Hervormde (reformed) and Gereformeerde protestant denominations. Unltil the Second World War he worked in an Expressionist style, mostly a moderate version which was replaced by a Traditionalist style in the late 1930's. 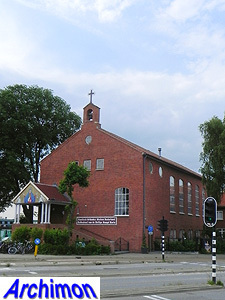 Early in World War Two he built a church in Raamsdonkveer as well as fullfilling several assignments for repairs of war damage, but for most of the war he was not active. After the war he continued working in Traditionalist styles until his retirement. He died in Amersfoort on April the 3rd 1967. 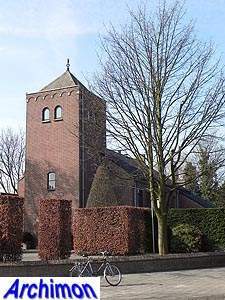 The following is a list of Plooij's churches only. 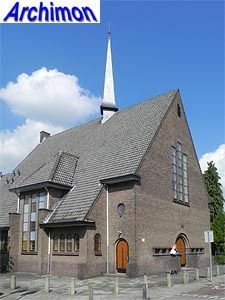 Probably Plooij's first church. Cruciform church in Expressionist style, with tower. Closed. Cruciform church in Expressionist style, with tower. Original dome-shaped spire lost in WW2 and replaced by a pointed one. Cruciform church in Expressionist style. Demolished in 1990. Cruciform church in Expressionist style, with tower. Cruciform church in Expressionist style, with tower. Designed in conjunction with architect J.A. Heuvelink from Apeldoorn. Enlargement of an older church. Demolished in 1987. 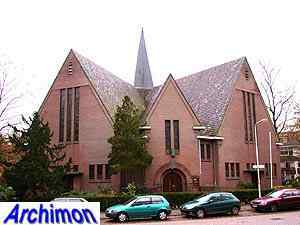 Plooij was a member of this church. 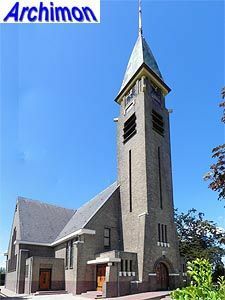 Cruciform church in Expressionist style with short tower with portal at the front. 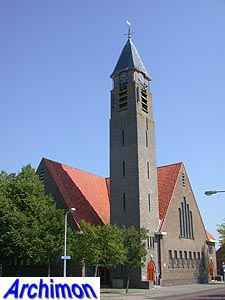 Cruciform church in Expressionist style, with tall tower. No further details, demolished in 1979. Cruciform church in Expressionist style, with short tower. Closed in 1994, now apartments. Big cruciform church in Expressionist style, with tower. 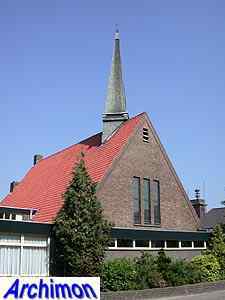 Small church in moderate Expressionist style, with steeple. Cruciform church in Expressionist style, with high tower. Demolished after damage by fire in 1964. 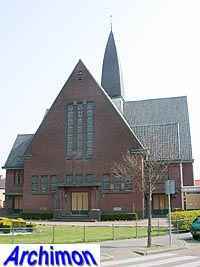 Cruciform church in Expressionist style, with steeple on the crossing. Closed in 1991 and rebuilt into apartments. 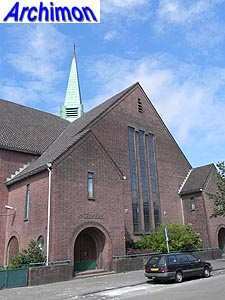 Cruciform church in Expressionist style, with steeple on the crossing. Straight church in Expressionist style. 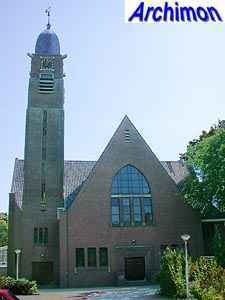 One of Plooij's most original designs; a church with two naves that meet each other in a wedge. Style is, as usual in this period of Plooij's career, Expressionist. Small cruciform church in Expressionist style. Cruciform church in Expressionist style. Front dominated by two portals. 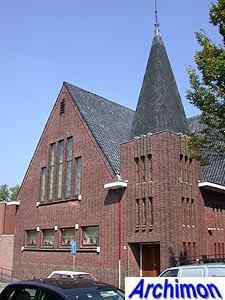 Design only, in 1955 Plooij designed and built a new church. 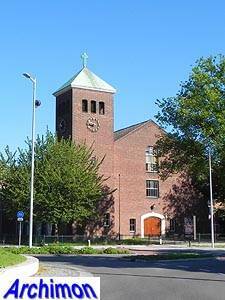 Aisleless church in simple Expressionist style. 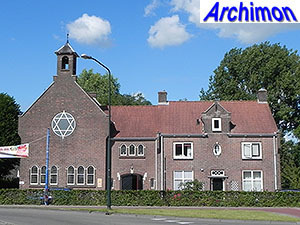 Spaces added to the back of an older church and addition of galeries to a previous extension; in 1935 Plooij had designed a completely new church which obviously wasn't build. 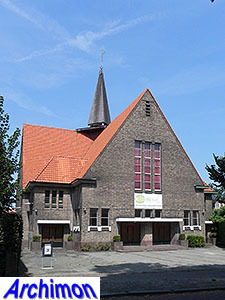 Aisleless church in Traditionalist style, with L-shaped ground plan. 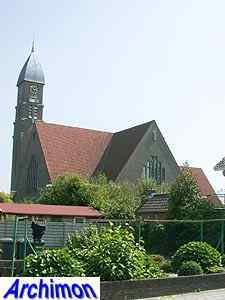 Aisleless church in Expressionist style, with steeple on top. 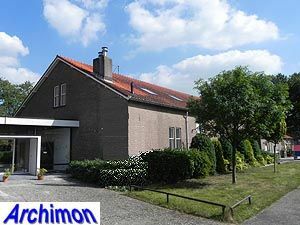 Church in simple Traditionalist style. Aisleless church in simple Traditionalist style. Temporary church in very simple Traditionalist style. Original plan was for a wooden church. Small church in Traditionalist style, with tower. Now a house. Church in Traditionalist style, with short tower. Rebuilt into houses in 2010. Church in Traditionalist style. Portal with pillars. Now Coptic-Orthodox church. Church in Traditionalist style, with short tower. Church in Traditionalist style, with octagonal ground plan and bell-gable at the front. 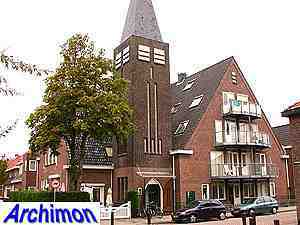 Probably Plooij's last church.